Fargo ID Card Ribbon - Full Color (YMCKK) Ribbon, 500 images. The ribbon is used to print in a variety of colors: yellow (Y), magenta (M), cyan (C), and black (K) on the front of the card. The second (K) allows for black print on the back of the card. 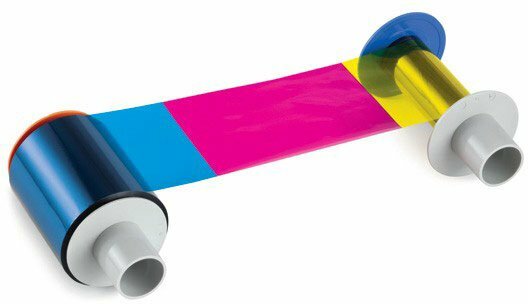 This ribbon is used to print text and full color images on one side and black on the back side of the card. Compatible with HDP5000, Hdpii. This part is also known as 084052. All Fargo ribbons work great, would buy from no other company. They are prompt with shipping and their service representatives are the best! No order too big or too small. The Fargo 84052 is also known as Fargo Electronics	FGO-84052	.